The plant called the galangal belongs to the ginger family of plants. The galangal herb is a member of the ginger family and belongs to the genus Alpinia. It is mainly found in South-East Asia. Galangal is a food flavoring and spice used in recipes across VietNam,Thailand, Indonesia, and Malaysia. It has also been recognized for its medicinal properties since ancient times, especially in the Middle East and India. 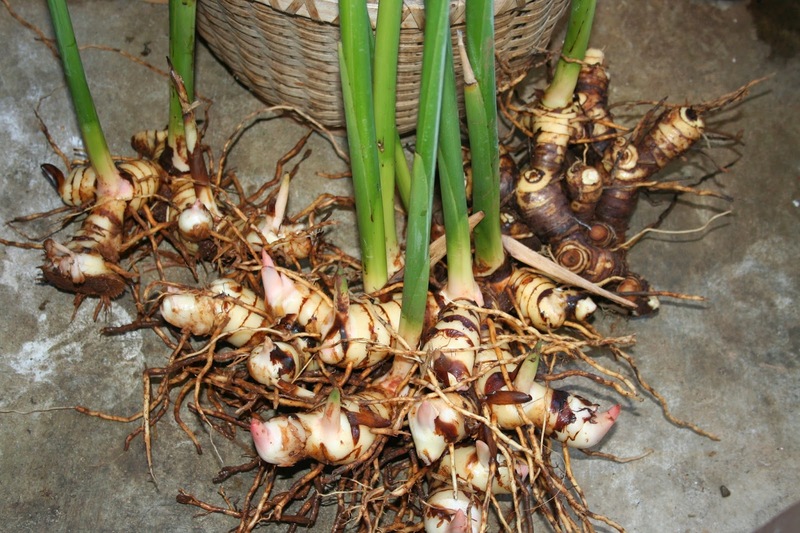 The galangal plant is imported in great quantities to Europe for its medicinal properties and culinary use. Galangal can reach up to five feet in height when it is fully grown. The morphology of the herb is characterized by the presence of long and rather narrow blades in the leaves, and curiously arranged floral formations, which tend to grow on a simple and terminal spike, the flowers have white petals and possess a deep red vein color which can be used to mark out the lip petal on the floral body. Galangal bears underground stems called rhizomes, branches out into different pieces, each of which can be one and a half to three inches long, and about three fourths of an inch thick at the body. Each piece of the rhizome is usually cylindrical in shape, and these are often cut while in a fresh state, each piece of the rhizome is marked at short intervals by the presence of a narrow and whitish color body, which gives rise to raised rings, the legacy of scars produced by former scaly leaves growing along the rhizome. The rhizomes are characterized externally by a dark reddish-brown color, and cuttings of the inner rhizome are characterized by the presence of a dark centre surrounded by a wider and paler layer on the outer rim, that also darkens considerably when the rhizome is dried during processing. This herb is used in herbal medicine and is known for its warming and comforting effects on the digestion, similar to related herbs such as the ginger. The herbal properties of the galangal make it ideal as a remedy for conditions in which the central region of the body requires greater warmth, and the nice aromatic quality and mild spicy taste of the galangal make it a very soothing herb. Native to China, Europe had it first galangal specimens around the 9th century, when the first plants were transplanted from China. Europeans became familiar with the healing properties of the galangal, and in this regard, the old European mystic Hildegard of Bingen, spoke of the galangal as a "spice of life," which was given to men by God in order to ward off ill health and diseases of the human body. The Chinese system of medicine has traditionally placed great emphasis on the warming potential of the galangal herb; it has been traditionally used in the treatment of abdominal pain, in treating cases of vomiting, as well as in the treatment of persistent hiccups. The traditional medical systems of south western Asia and the Indian ayurvedic system usually employed the galangal herb as a remedy for treating problems of the stomach, the herb is considered to have an anti-inflammatory and expectorant action on the body, and it is also used as a nervine tonic in these cultures. Various maladies such as long term dyspepsia, and the presence of stomach pain, long term rheumatoid arthritis, and intermittent fever are treated using the herbal remedies prepared from the galangal. The first remedies made from the galangal came via Arabian physicians who brought them to Europe a millennium ago. Traditionally, the western herbal medical system saw the use of the galangal herbal remedies for the treatment of excessive abdominal gas, in treating indigestion, as well as in the treatment of persistent vomiting, and stomach pain in concord with its use in both the traditional Chinese and Indian systems of medicine. Relief from painful canker sores and sore gums can also be obtained by using a galangal based herbal infusion. Sea sickness is another condition, which has traditionally been treated using the remedies made from the galangal, the use of the herb in this role is not surprising as a close herbal relative the ginger is also used in treating motion sickness affecting different patients. Galangal contains anti-inflammatory and therefore useful in the treatment of arthritis and rheumatoid arthritis. It contains a number of anti-oxidants which help to minimize the damage caused by free radicals and other toxins in the body. Galangal also helps relieve discomfort caused by inflammation of the stomach or ulcers, treating diarrhea, increase blood circulation in the body and keep the heart healthy.